The mum-of-three felt completely overwhelmed as she shadowed Maternity Care Assistants for a new documentary. The Celebrity Big Brother presenter trained for three months at Harlow Hospital as a Maternity Care Assistant, working four shifts a week alongside the midwifery team helping to deliver babies. She admitted that watching a post-birth repair operation brought back painful memories of giving birth to her first child Isabelle in June 2009, causing her to faint in the operating theatre. Speaking on ITV’s The Jonathan Ross Show about the show, which airs on W and is called Delivering Babies, she said: “My first [birth] was very difficult. “When we weren’t filming I was still working so I would shadow the Maternity Care Assistants that were having to train me and they were going into theatre to do a repair on a woman. “I went in and I was not prepared for that. I wanted to see everything. I went in for the repair and I was very overwhelmed. 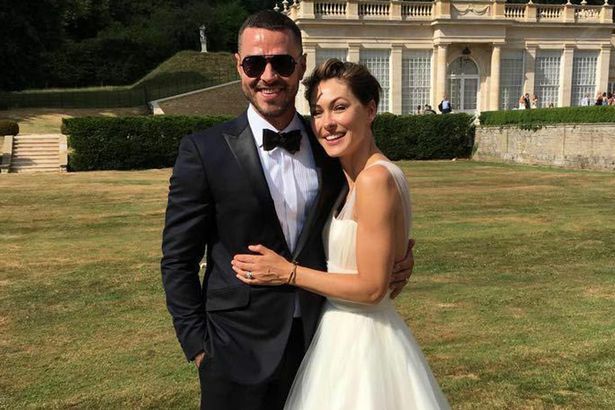 The presenter, who has three children with her husband Busted star Matt Willis, also admitted working around babies had initially made her broody before she remembered the “sleepless nights” and the painful feeding process involved in raising a child. She added: “It was amazing and terrifying in equal measure. This could have been my life so you get to have a little snippet of what your life could have been like but you still get to have this lovely telly side of it as well, the way you’re seeing it. “Initially I got very broody because babies smell amazing and they’re cute and you just want to cuddle then. The Jonathan Ross Show airs on October 27 at 10.35pm on ITV.